There is no typical day for a nurse. Every single shift has the potential to be momentous, exhilarating, exhausting, energizing, or all of the above. On any given day, nurses can see people at their weakest and most vulnerable, or at their strongest and most resolute. They witness the results of career-ending (and life-ending) injuries and illnesses with such regularity that they become par for the course. 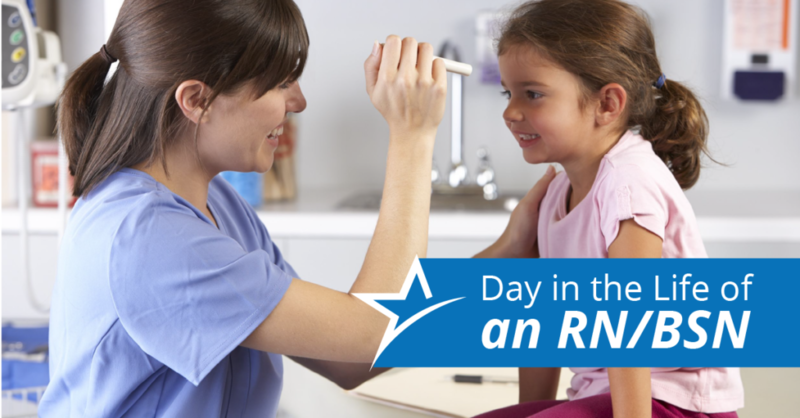 It’s almost impossible to portray a typical day for a nurse, given how different healthcare workplaces can be, and how work can vary from shift-to-shift depending on which patients a nurse needs to see. What follows is a broad outline of what a workday might be like for a nurse on a 12-hour day shift in a hospital. A nurse’s day often begins before the sun is up. Many nurses are out of bed, showered, and eating breakfast before other professionals even hit the snooze button. If there’s time in the quiet morning hours, they’ll steal a few moments of solitude before beginning the day. Most day shift nurses will begin by conferring with their colleagues on the night shift. The night staff will update them on any change in patient status since the last day shift, admissions, or other matters they should be aware of. At the start of their shift, nurses will also review assignments and physician notes, and read up on each patient that they have to see to that day. Mornings are busy for nurses. They’ll check in with each patient and record their status. Nurses check blood work in the morning, monitor the blood sugar of diabetic patients, and check in to see if anything requires their immediate attention. This is also a time when nurses will assist patients in ADL, or “activities of daily living.” During this time of day, it’s common for nurses to assist patients with eating (if they cannot do it themselves) or basic mobility. This time will also include what’s known as a “med pass,” when nurses will administer medications to patients. If they can, nurses will try to take some time for lunch in the middle of the day. This doesn’t always happen, though. Sometimes a lunch will be whatever you can grab in between tasks. Nothing’s a guarantee for a nurse, especially mealtimes. By the afternoon, many patients who arrived in the morning could conceivably be released, and several more will have been admitted in the interim. Nurses can often find themselves managing new patients, administering any medications that need to be given during that time, and catching up on charting. This is also when nurses will likely have to make use of their people skills. New patients often have to be educated about their diagnoses and treatment plans; nurses will have to answer patient questions, and also ensure both patients and their family members have adequately internalized what they need to know. Before going home, a day shift nurse will have to make sure that everything has been properly documented and made ready for counterparts working the night shift. Nurses will check and double-check patient charts and information that the night shift will need. When the night nurses arrive, the day shift will brief them, leave things in their capable hands, and then go home for some hard-earned rest. After that, a nurse has 12 hours to sleep, eat, and refresh. The next day, come 5:00 a.m., the cycle begins all over again. Are you ready to join the world of nursing? Visit our program pages to learn more about our nursing and RN–BSN programs, or follow us on Facebook.